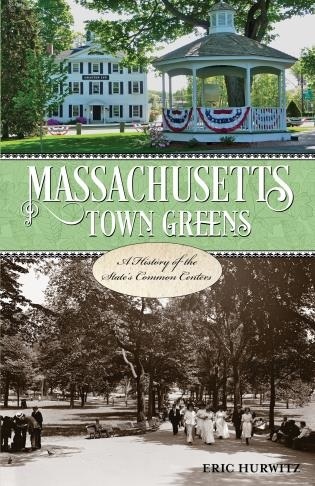 Globe Pequot is proud to announce the May release of Massachusetts Town Greens: A History of the State's Common Centers, by Eric Hurwitz, (978-1-4930-1927-4, $18.95 paperback, 256 pages). Massachusetts’ town greens date back to colonial times, when they served as the physical and spiritual centers for these early towns. Today many town greens continue to be the center of town events, fairs, and other gatherings. Massachusetts Town Greens explores the history of these remarkable greens and provides a guide to current events. Whether taking in the famous Boston Common, Battle Green in Lexington and Monument Square in Concord or lesser known but absolutely beautiful town greens in places like Petersham, Royalston and Grafton, readers will find an exciting guide to attractions and events at these local landmarks. About the author: Eric Hurwitz writes straight from the heart on New England travel for his readers on VisitingNewEngland.com. A lifelong New Englander, Hurwitz has covered New England travel since 2001 with a focus on hidden destinations, attractions and restaurants. Articles on the site have been referenced by media outlets including USA Today, Woman's World, the Maine Office of Tourism, BusinessInsider.com, eHow.com and Wikipedia.com. Hurwitz holds a bachelor’s degree in journalism from Suffolk University in Boston, Mass., and spent 20-plus years as a reporter, assistant editor, and public affairs specialist in the public and private sectors before starting his work of love, VisitingNewEngland.com. About Globe Pequot: Globe Pequot is the flagship imprint of the trade division of Rowman & Littlefield. The Globe imprint celebrates all things local, creating books that appeal to visitors and residents alike. Our authors are leading experts on the people, places, food, art, culture and craftsmanship of the regions they cover—primarily New England, the mid-Atlantic and Florida.